Rare Sun-Filled Duplex Penthouse Loft on a prime Fifth Avenue block in Flatiron District with a private roof garden!!! 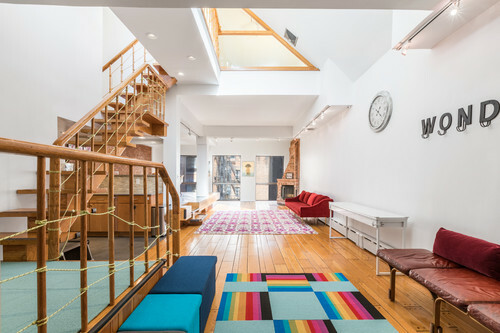 This duplex home with a mezzanine level and roof garden totaling approximately 2,300 square feet is a rare find and exceptional value in one of the most desired neighborhoods in Manhattan. Enter the premises along a dramatic foyer opening into a double-height reception area filled with gallery-quality natural light permeating through oversized wall to wall windows on the upper level and in the living room. To the left is the grand 40’ x 23’ living / entertainment area featuring an angled original brick wood-burning fireplace and floor to ceiling windows. The recently renovated open kitchen boasts state-of-the-art Miele appliances with a Quartzite backsplash and Caesarstone countertops. The large separate dining area, comfortably accommodates 12-person seating, runs along the original exposed brick wall. To the right is a spacious den / bedroom with submarine-inspired windows letting in ample light whilst maintaining a cozy ambience, perfect as a nursery, children’s playroom or home office. Walking further in, find the generously-proportioned second bedroom with a deep walk-in closet and a juliet balcony. On the upper level is the master bedroom with large triangular windows overlooking the roof garden. It has a built-in home office and a large en suite master bath oasis. The seamlessly integrated master bathroom has a spa-like atmosphere with a skylight. It is a true relaxation space, large enough to be used as a private yoga / meditation room. It enshrines a whirlpool jacuzzi tub, twin pedestal sinks, a separate enclosed toilette and an open shower surrounded by a beautiful masonry glass block wall. Walk across the sky-bridge that overlooks the living area and to the private roof garden, one of the very few on the market. Recently renovated with concrete tiles and a weather proof system, the roof garden is ready to be enjoyed under the open sky. Equipped with central AC, Asko washer and vented dryer plus tons of storage spaces, this versatile loft in the heart of Manhattan offers tremendous possibilities on multiple floors including converting into a 3 or 4 bedroom home. Alternative plans are available upon request. 131 Fifth Avenue is a 23-unit cooperative built in 1904 originally for the Roosevelt Family and was later part of the original Lord & Taylor Department Store. Centrally located in the Ladies’ Mile Historic District in close proximity to Chelsea, NoMad, Union Square, Washington Square Park and Madison Square Park, 131 Fifth is surrounded by a fabulous array of fashion retailers and many of the world’s best renown restaurants and accessible through all forms of public transportation within steps. 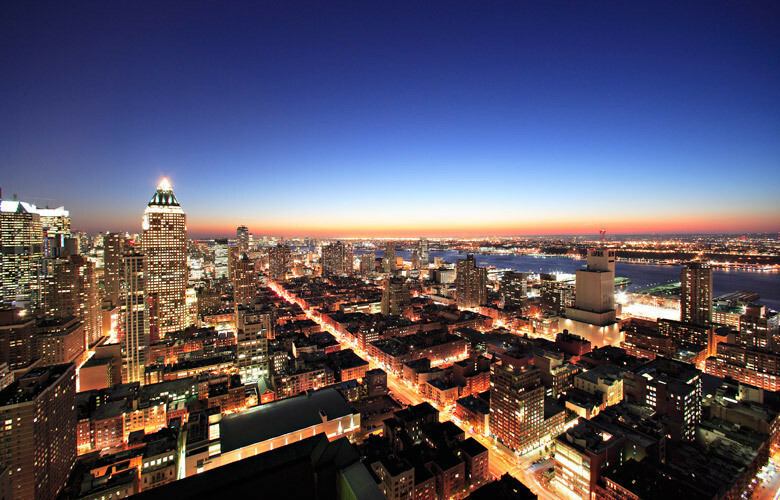 This close-knit, well-established cooperative offers an extremely low maintenance charge to unit owners and permits pied-a-terre, guarantors, parents purchasing for children and co-purchasing, subject to board approval, and is pet-friendly.